XL Group is a multi-disciplinary technology company that specialises in telecommunications, process control, fire and gas ESD, metering and business-critical IT applications. The company’s services are applicable to oil and gas asset owners, engineering design houses, asset facilities management and drilling contractors. XL Group’s technical professionals offer support for a range of controls engineering situations. 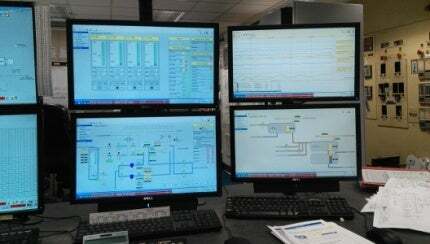 Process control systems can be provided on small-scale PLC control for process packages and on full-scale multiple offshore platform oil and gas production DCS and PLC control systems. Hazard analysis and loss prevention systems for offshore and onshore can be designed, including PLC and solid state based fire and gas, ESD and HIPS systems with both sensor and interface systems. XL Group’s metering consultancy experts can assist clients to review their metering and allocation plans. The resulting data can be used to produce guidelines for allocation equations, recalculating systems and specific metre uncertainties, to ensure that they are kept consistent with actual production rates. XL Group provides an offshore telecommunications service, which ranges from small UHF dual channel systems to a full installation telecommunications and navigation package. The company can design, install and commission packages according to the scale of clients’ requirements. XL’s projects include major works for the UK North Sea and the east coast of Canada’s offshore oil and gas industries. XL Group uses a remote monitoring system to provide 24hr engineering support. A team of technicians is available to maintain clients’ onshore and offshore systems, to ensure that they receive real-time engineering support and technical solutions. A wide range of IT services is available from XL Group, including network systems, cabling infrastructure, hardware and software. XL can provide and install the chosen IT system and then carry out training suitable to all levels of the clients’ staff. XL Group has a wide range of products, services and solutions in its information technology capability. This covers computer training services for council offices, HR software packages for small and medium enterprises, IT support services to engineering, production, manufacturing companies and flex-IT system rental to major oil sector companies.